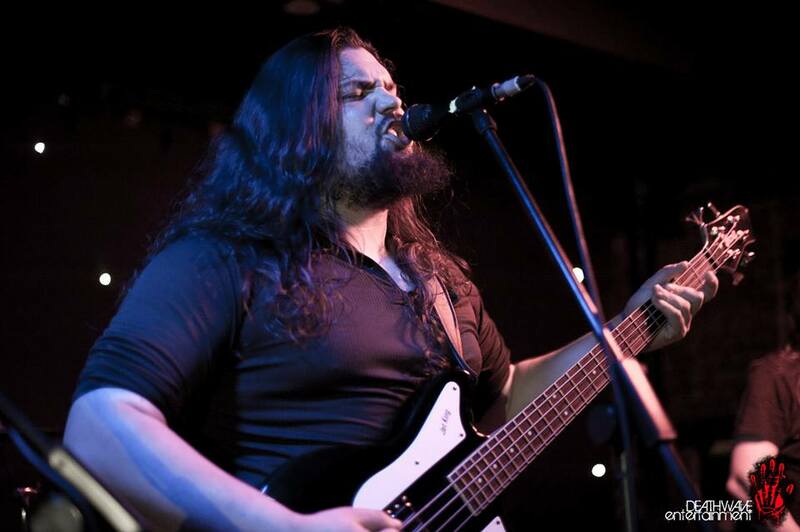 Live Review – HECATE ENTRONED – Liverpool Lomax – September 7th 2013 – Burning Fist! September 13, 2013 May 12, 2014 • Burning Fist! Produced and organised by Liverpool based DEATHWAVE ENTERTAINMENT, this bill had great promise right from the off. Weeks of internet promo seemingly paid off too, as the Lomax had a great turn out and was as hot as hell – somewhat fitting for the bands playing tonight. The night started out with Edenfall from Cheltenham who brought with them their own mix of Gothic grandeur and doom-laden riffs. With clear musical nods towards early Paradise Lost (No bad thing at all! ), the dual vocal approach from Rob George (Also Guitars) & Claire Webster works really well. Rob’s deep growls add an excellent contrast to Clare’s clean, soaring laments. 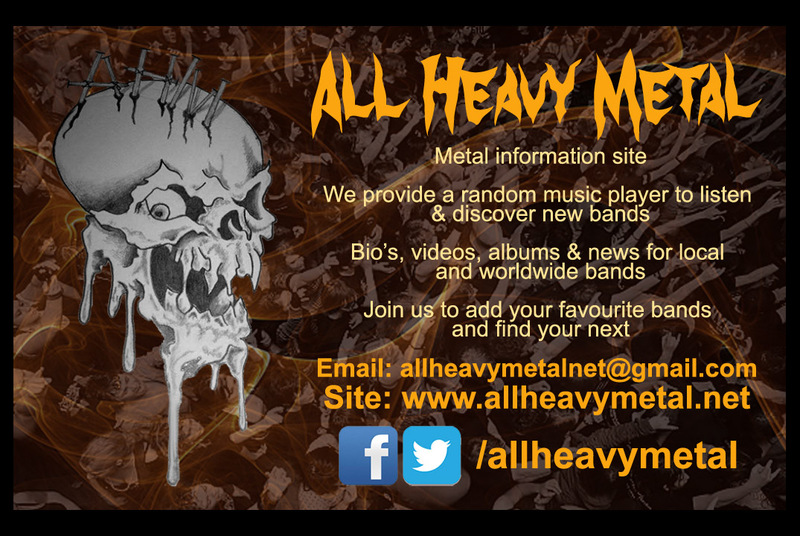 Completed by Matt (Guitars), Sean (Bass), Marcelo (Drums), the band played a short but sweet mix of tracks from their first album (“Forever Fallen”) as well as showcasing a couple of new tracks from their forthcoming second album (“Under Sultry Moons and Velvet Skies”). The slow and precise pace of the music served as an excellent opener, and you’d do well to catch them when they’re in your area. 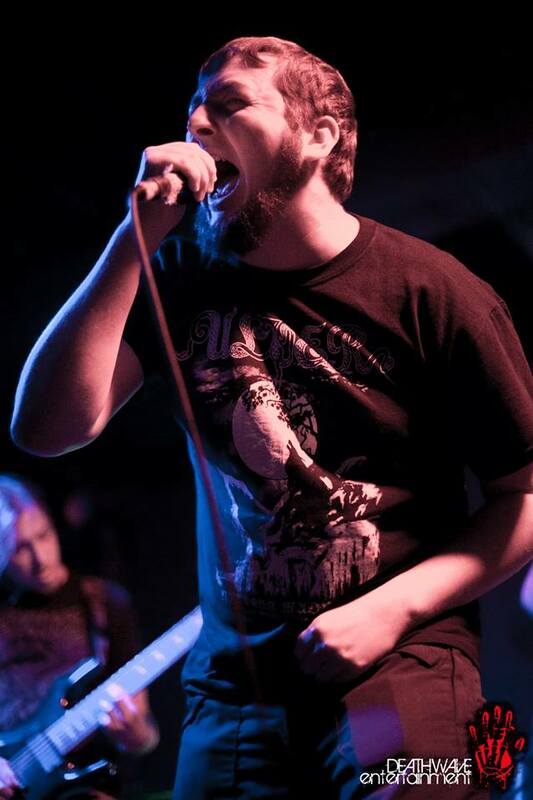 Next up, we have Xerxes, who hail from Sheffield. Comprising of Stuart, Pete, Joe, Mike & Phil, these boys weren’t taking any prisoners! You could probably class this as technical death metal, but thats only the tip of the iceberg, as the these tunes have groove… tons of groove. Tech Death doesn’t always come over that well in a live setting, but the these songs have got “HEADBANG!” written all over them! With the Joe switching his vocal style between Deicide-esque roars and Cryptopsy-like screams with apparent ease, the rest of the band wriggle and writhe through songs about Arachnid Egg Sacks, mythical Scottish monsters and Barnsley Garden Centre, never once letting up, and giving it their all! There are elements of Prog chucked in here and there that work a treat, breaking up the huge riffs with little passages of respite. Its seems the band have tailor-made these sections just so you can catch your breath! The lads seemed to be loving their time on stage and the crowd responded really well – A brilliant set, and certainly ones to keep an eye on! And, oh boy… They did just that! 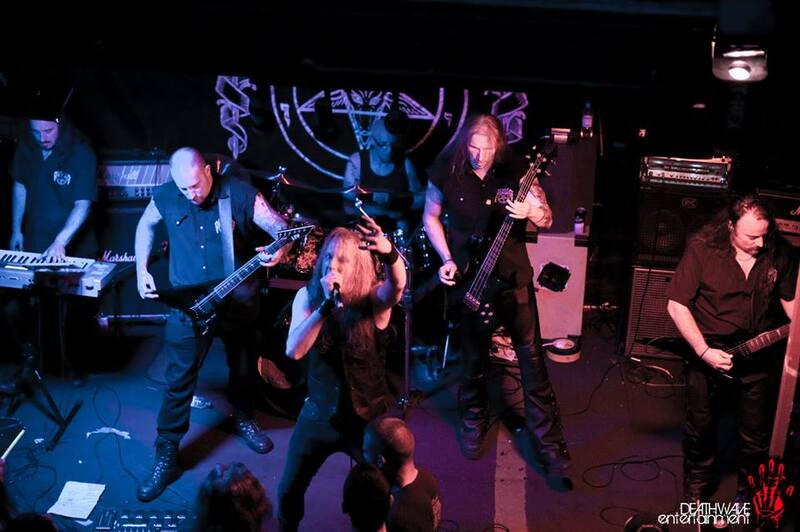 Building the tension with “Goetia“, the intro from their classic “The Slaughter of Innocence…” album, its up to “Silenced, But For Their Cries” to open the proceedings, and from that point on, the band didnt let up… NOT ONCE! This seemed to be a statement of intent from a band clearly rejuvenated from recent line-up changes. 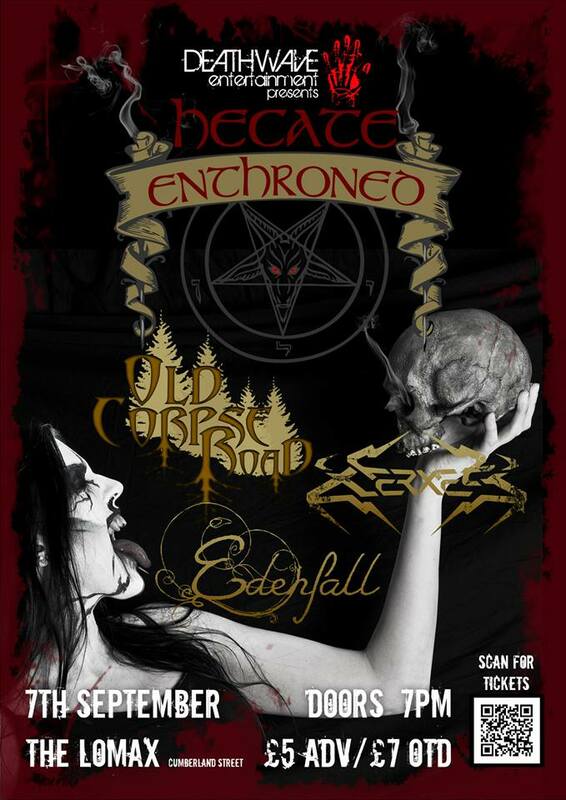 As you may, or may not know, Hecate are no stranger to line up changes, but the recent additions of Elliot (Vocals) & Gareth (Drums) has given the band a new lease of life, and that energy was thrust straight at the crowd in the shape of a burning, screaming, angry serpent! Playing a great mix of tracks from the band’s six releases, it was great to hear early songs like “The Crimson Thorns” played with such fury it was as if the band had written it yesterday and not 17 years ago. The classic (and crowd pleasing) “Slaughter of Innocence” and “Upon the Kingdom Throne” got the biggest cheers of course, but the band also treated us to some new material: “Life”, “Unchained” and “Abyssal March” (making its first ever UK live airing!) . These tracks fitted in well and had that newer, heavier Hecate sound. There was no doubting the brutality these songs possessed, and they served as a teaser for the band’s forthcoming album (expected the end of 2013, at the time of going to press). Rounding off the evening with “Beneath a December Twilight”; this was a fitting end to proceedings. It was great to see one of the fore-fathers of UK Black Metal doing what they do best, and the crowd seemed to just lap it up. 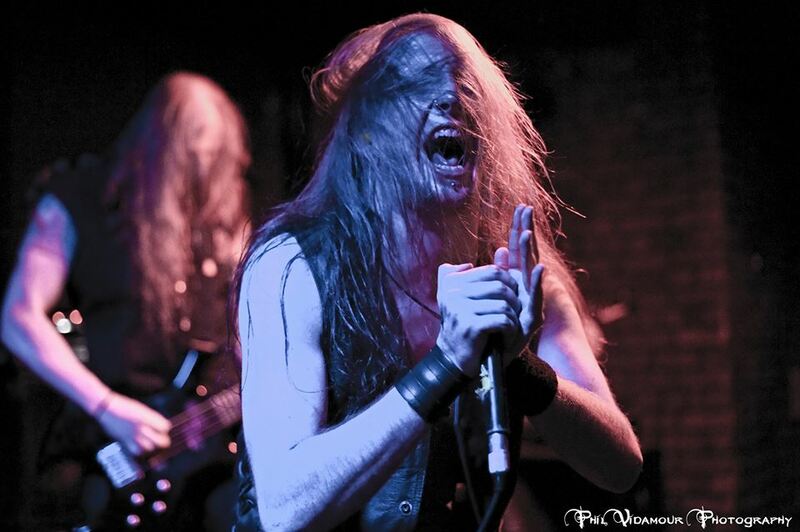 SETLIST:Silenced but for their cries, Deceiving the deceiver, The slaughter of innocence, The pagan swords of legend, No one hears, Life, The spell of a winter forest, Unchained, Upon the kingdom throne, As fire, Crimson thorns, Abyssal March, Beneath a December twilight. 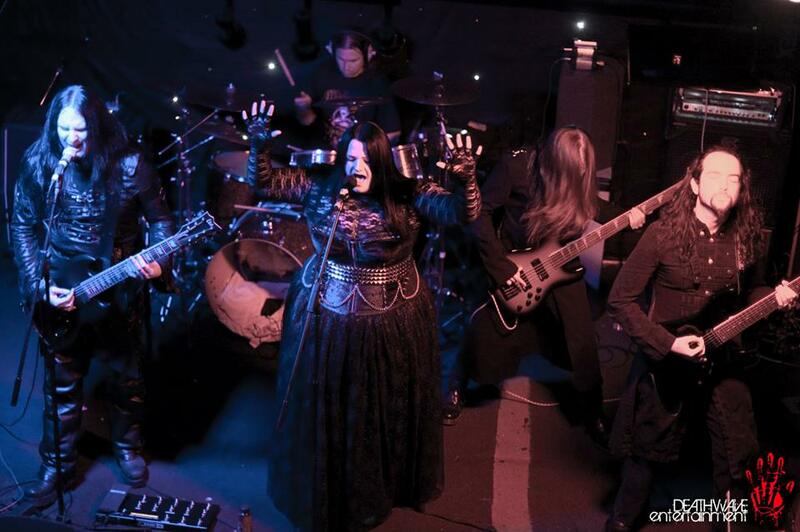 Posted in GigsTagged Black Metal, death metal, Edenfall, Gothic Metal, Hecate Enthroned, Live, Live Music, Liverpool, Lomax, metal, Old Corpse Road, XerxesBookmark the permalink.